Summer is almost here! Enroll now in our Summer Tennis Camps to secure your spot! Our Fun & Sun Tennis Camp is designed to provide Beginner to Intermediate tennis students, an opportunity to learn and enjoy the game of tennis in a fun, active small group environment. This camp provides quality tennis instruction by professional tennis coaches as well as participation in fun games and other sports activities for ages 6 to 13 years old. Activities include tennis drills, tennis fitness, sportsmanship, field games, tennis competition and team building. Camp is offered at the Lake Cane Tennis Center in Shadow Bay Park for 8 weekly sessions Monday thru Thursday from 9 to 11:30 am. Cost is $175 per student per week. Sign up for as many weeks as you like from June 3 thru August 1, 2018. No camp week of July 4th. Enroll now to secure your spot! Have Questions? Please contact our Camp Director, Tara Merrigan (407) 254-9170 press 1 or email Tara@mgtennis.com. Join us this summer for our Summer Slam Tennis Program! The goal of this camp is to provide the Beginner to Intermediate tennis student ages 6 to 13 years old, with an opportunity to learn, improve and enjoy the lifetime sport of tennis while participating in a fun and outgoing group environment. Daily drills and games will give focus on developing eye/hand coordination, racquet control, footwork, basic tennis strokes, court awareness, game objectives and basic rules of the game. Camp is offered at the Lake Cane Tennis Center in Shadow Bay Park for two summer sessions from 9 to 11:30 am. Choose either Mondays & Wednesdays or Tuesdays & Thursdays. Each session is 4 weeks. Session 1 from June 3 - 27 and Session 2 from July 8 - August 1. Cost is $340 per session. Enroll now to secure your spot! Have Questions? Please contact our Camp Director, Tara Merrigan (407) 254-9170 press 1 or email Tara@mgtennis.com. 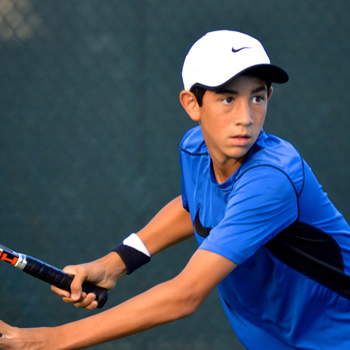 The Lake Cane Junior Performance Summer Camp is a great opportunity for Intermediate to Advanced Junior Tennis players this summer to work on all aspects of the game in order to develop a solid playing base to successfully compete in local and State tournaments. Whether minor adjustments are needed to improve your game or you want to train like the champions do, make this camp your training destination this summer! Activities include refining stroke production and technique, feeding drills and live ball hitting, strategy and tactics, patterns of play and point simulation, tournament style playing methods and match play, video analysis, footwork and movement, fitness and conditioning, mental training, recovery sessions and tournament schedules. Camp is offered at the Lake Cane Tennis Center in Shadow Bay Park, Monday through Friday from 9:30 am to 12 noon for 9 weeks during the summer from June 3 - August 2. Choose 5, 4, 3 or 2 day options and as many weeks as you like to attend. Cost per week: $215 for 5 days, $180 for 4 days, $150 for 3 days, $100 for 2 days and $55 for a 1 day visitor. Enter in the notes section when you request to enroll, how many days you will attend each week. Coach approval is required for attending this camp. Enroll now to secure your spot! Have Questions? Please contact our Camp Director, Alvaro Layrisse (407) 227-2990 or email Alvaro@mgtennis.com. 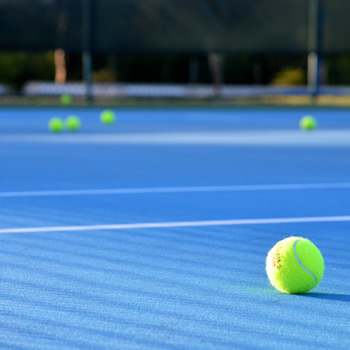 For our youngest beginning tennis enthusiasts ages 4 to 5 years old, we offer our Little Tennis Summer Camp at the Lake Cane Tennis Center for one day a week on Tuesday mornings from 8 - 9 am. Cost $85 for a 4 week session. Two Sessions offered throughout the summer. Session 1 June 4-25 and Session 2 July 9-30. Instruction and drills are designed to develop skills and interest in the sport, through a fun, small group environment. Enroll now! Space is limited! Have Questions? Please contact our Camp Director, Tara Merrigan (407) 254-9170 press 1 or email Tara@mgtennis.com. Get ready to have a ball at our Windermere Tennis Summer Camp! This camp is offered at our Windermere Location at the Windermere Recreation Center, 11465 Park Ave., Windermere, Florida. The goal of our camp is to provide the Beginner to Intemediate tennis student ages 6 to 13 years old, an opportunity to learn, improve and enjoy the lifetime sport of tennis while participating in a fun and outgoing camp environment. Activities focus on hand/eye coordination, racquet control, footwork, basic strokes of tennis, court awareness, game objectives and basic rules of the game. We offer 4 weekly summer sessions Mondays through Thursdays 9 to 11:30 am from June 3 to June 27. Choose one week or all four! Cost is $185 per weekly session. Enroll now to secure your spot! Have Questions? Please contact our Camp Director, Damon Ponzie (407) 758-2286 or email kpointetennis@gmail. Not sure which camp to choose? Contact us and we will assist. See you on the courts this summer! JOIN US FOR THE FUN THIS SUMMER!! "Excellent overall experience-Tennis Lessons for my son...."
"The staff are great, helpful and knowledgeable. Kenny the Tennis Pro was an excellent teacher and I've had lessons from lots of pros." "Been going there for 7 years...love it!! Great people, great place! David is the nicest employee and the pros are great too!" 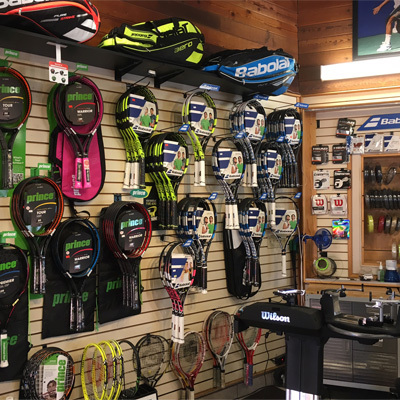 MG Tennis Shop, Inc. is a Florida based Tennis Management Company founded and operated by Marcelo Gouts since 1986.